Destroy all Drafthouses: Kaiju celebration in Houston!!!! GREAT HOLY MOLY!!! The awesome Alamo Drafthouse at Vintage Park in Houston, TX is having a FOUR (yes, FOUR!!!) film marathon of Kaiju movies on April 14 in a celebratory preparation for Pacific Rim!!! It starts out with a digital screening of the newest King Kong ('33) restoration and climaxes with a screening of a newly stuck 35mm print of the Japanese cut of Godzilla ('54) with two mystery films (one of which is also 35mm) and a bunch of other surprises sandwiched in between!!!! AAAAAHHHHHHH!!!! Whoops, how'd I miss it? Ah well. Maybe a mod (do we have those any more?) can merge them? I tried to PM you (humdingers) about meeting up...but I guess you didn't check you inbox???? When you walked in, they were just constantly playing Godzilla trailers, commercials, clips, music videos, etc on the screen. There was a little comic shop that had a small display set up and a cardboard city was set up in front of the screen. Before everything started, Godzilla came out and attacked the city! Then he was soon joined by King Kong and they had a fight in the city. I have a video of the fight, but I haven't watched it yet, and it'll take me a while till I upload it. Then they screened King Kong (more on that in recently watched movies). Then we had a surprise Skype interview with Travis Beacham, one of the writers of Pacific Rim (more on that in the Pac Rim thread). Then they gave us some background on the next movie, and told us more about Alamo Drafthouse upcoming events, including a "Video Nasties" series where they will be screening movies that have only ever been released on VHS. And they gave us a pitch on the Houston Film Critics' Society. Probably the 'wekeast' segment of the evening, but a worth bathroom break. Then they screened a bootleg tape of Pulgasari, as a middle-finger to North Korea given recent events. Then they did a giveaway. Some kid who had a custom Destroy All Drafthouses shirt got a game, another kid got a comic collection, and then there was a trivia question about the movie Merian C. Cooper produced before King Kong starring Fay Wray (The Most Dangerous Game). Then they put up a killer graphic on the screen. And they had people look under their tables and if you had a thing that said "Tshirt" you won a shirt of that. I WON A SHIRT! And if you have a thing that said "poster" you won a signed by GDT Pac Rim poster. And they had tons of extra regular Pac Rim posters, so I got one of those too after everything was over and I just gently asked if they had any extras. Oh well, I'm not really a die hard GDT fan anyway (though that may change with Pacific Rim...) and it would've been greedy to keep both prizes while someone else walked out empty handed. And when they announced prizes I was much more excited about the t-shirt than the poster so I'm glad that's what I walked out with. And I've got to give major credit to my wife for attending the whole event with me, staying involved (she actually stayed awake through all the movies! ), and, best of all, getting down to the front much faster than I could have to make sure I got the right size t-shirt. Apparently they only had about 20 made and therefore a very limited number of each size. Yeah, I got my T-shirt first. Slunk out under the table and got right to the front. And even though I woulda liked a signed poster, I definitely was more stoked about the T-shirt. The design is awesome and it's a once-in-a-lifetime thing, while the poster is something i could probably buy on ebay if i wanted. jellydonut25 wrote: I tried to PM you (humdingers) about meeting up...but I guess you didn't check you inbox???? Sorry about that. I generally browse on my iPad which doesn't give me any heads about about pm's (and I never think to check them). I was outta town, driving over 3 hrs straight to the theater the morning of. yeah, no big deal. they'll be doing tons of other stuff, i'll catch you another time. 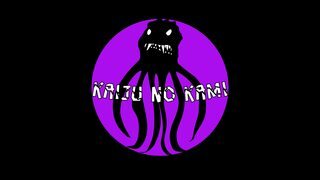 Re: Destroy all Drafthouses: Kaiju celebration in Houston!!! DESTROY ALL DRAFTHOUSES is coming back to Houston May 24, 2019! They’re showing the original Japanese cut of Godzilla along with a “mystery Godzilla sequel” that’s guaranteed to “deliver the kaiju carnage” at 9pm at LaCenterra. I got my ticket already! Got my ticket too. Definitely feel like the secret movie may be KOTM, but don't want to get my hopes TOO high since that's not what they're promising. As long as it's not Shin or 2014 (since I've already seen both of those in a theater) I don't really care much what it is...because seeing any of them the way Alamo Drafthouse presents things will be a treat. That sounds cool. I wish my Drafthouse was doing that.